Join our Kindergarten - 8th grade classes on a Christmas journey around the world! 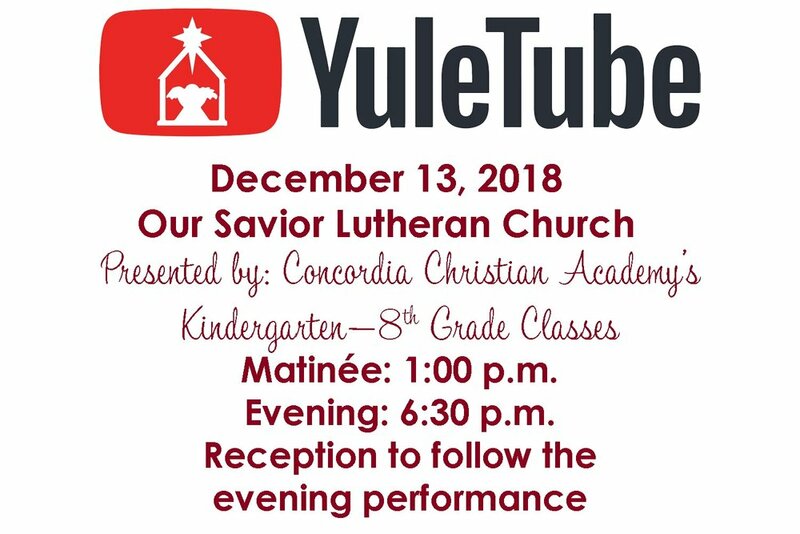 There will be a short reception after our K-8 Christmas Program on December 13, at Our Savior Lutheran Church. If you would like to donate baked or store bought cookies please contact Kathy Turner. Thank You!